The Nevermore Trilogy Blitz + Excerpt + Contest! Ooohhh! The Nevermore Trilogy grabbed my attention with it’s blurb mentioning cures for what ails us… the side effects are killer though. 😉 Check out Shannon Mayer’s series and tell me if you read stories with zombies for a chance to win the first book! Summer is wearing me out! And it’s only June 11th and I’m exhausted. Soooo I am taking a break and sitting in front of my fan at my computer to look through my database and see what I can see. Book Blitz for Barbie World + Character Interview + Contest! Heidi Acosta’s 2nd book in her Baby Doll series, Barbie World *Kermit flail*will be available on June 15th and you can win a copy here on The Book Tart! Check out the fun interview with Barbie and the Grand Prize contest for a $25 Amazon gift card too. I live in Colorado and was so excited to hear that Laura Moriarty is in my state today, Monday, June 10th. If you are in Denver see if you can drop into Tattered Cover Lodo and pick up her new book The Chaperone. If you can’t make it to her signing (like me 🙁 ) check out her book *points down* and add it to your TBR stack. It’s on mine! 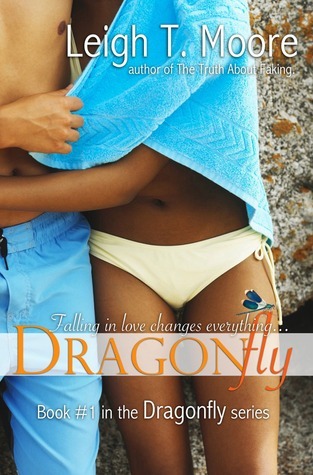 Guest Post by Leigh Talbert Moore and Spotlight on Dragonfly! ***Release Week Special! Dragonfly is only 99 cents June 6-8! Spotlight on Meridian Six by Jaye Wells + Contest! Jaye Wells has a new book! She wrote the amazing urban fantasy Sabina Kane series and she has just self published a novella called Meridian Six because it’s heroine Carmina Sargosa won’t be quiet! 😛 Click HERE to see the story behind this book. I really want to read this story. PS. Make sure you enter her contest! Snow White Sorrow book blitz + Excerpt + Contest! I adore fairy tales and especially love retold imaginings of classic tales. Cameron Jace’s Snow White Sorrow first grabbed my attention because of the title and the gorgeous art work. (All of his covers are amazing!) Then the synopsis held it. I am so excited about The Grimm Diaries! Take a look *points down* Make sure you leave a comment telling us a fav fairytale to enter for a chance to win Snow White Sorrow.